One of a pair of new Bright Eyes singles being released, "Take it Easy (Love Nothing)" offers a sneak preview of Digital Ash in a Digital Urn, one of two full-length albums set to hit stores in January 2005. Why two They are two decidedly different singles, previewing two decidedly different albums. Digital Ash in a Digital Urn features the more eclectic and pop-based sounds Bright Eyes has only alluded to in the past. Think of what happens when a New York inspired guy heads back to Nebraska and pushes the recording studio to its limit. 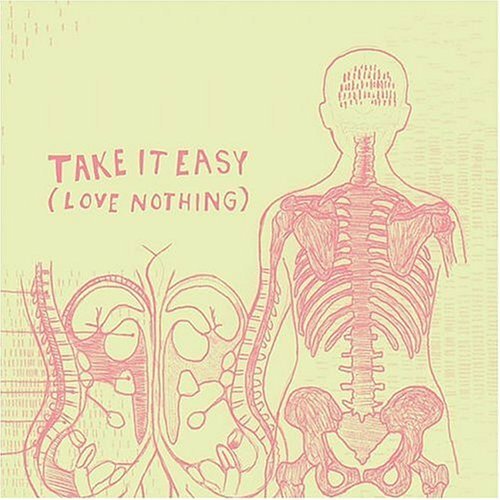 "Take it Easy (Love Nothing)" features one song from Digital Ash in a Digital Urn and two tracks exclusive to the single. Exclusive tracks include a cover of Simon Joyner's "Burn Rubber" and the instrumental "Cremation."